FM Starting Point is a completely FREE FileMaker template designed for use with FileMaker® Pro Advanced 17. Focused on small businesses, work groups, and non-profit organizations, the templates in this solution were built with the experience we have gained from working with these target groups for over 28 years. FileMaker users have been enjoying the benefits of FMSP for over 6 years. In this short time, we have had over 500,000 downloads of the solution. FMSP offers an integrated approach to an essential need in the business world — a complete CRM that is ready to be built upon to help create the perfect solution for your specific needs. Experienced FileMaker Pro users will value a FREE tool that makes building a new project substantially easier. FM Gallery has been created in a way to work perfectly hosted on a server in a multi-user environment or locally for a single user. 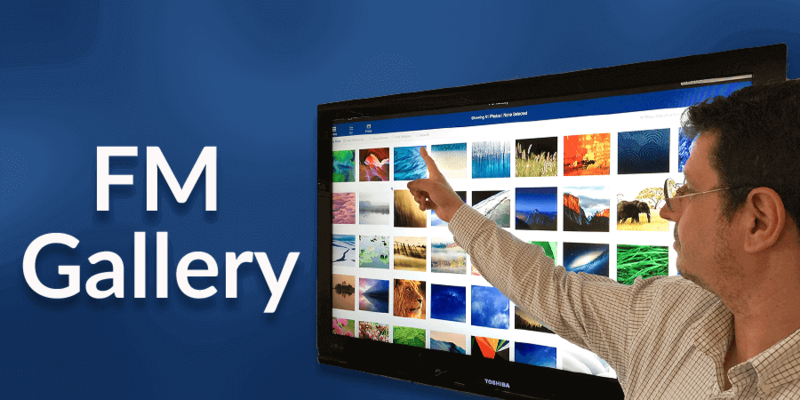 FM Gallery is the ideal photo management tool for medical practitioners, realtors, architects, field services, researchers, students, or anybody requiring the power of FileMaker Pro for photo management. FileMaker is an awesome tool for solving business or organizational problems…for millions of users weekly! However, by itself, FileMaker won’t solve your business problems. There are already books available on FileMaker Pro™, and even more resources available on the web and in workshops, classes, etc. But these sources consist almost entirely of instruction on how to use FileMaker’s tools, and not how to properly design a custom app. The single most glaring omission for the newcomer is a basic list of do’s, don’ts and other advice to help you get started on the right foot. This book will help prevent you from making significant design errors that could cause you trouble down the road. Recruiter is the FREE FileMaker solution for organizing your hiring team to find the perfect candidate for any open position in your company. With a simple and understandable layout, tracking and updating candidate data will be a breeze! All of the information you need for each candidate, requisition, and staff is available at a glance. Organized into logical tabs and easy-to-use portals, the hassle of endless searching and confusing spreadsheets will be gone when you switch to Recruiter. The newest version of Recruiter has also been updated for use on the FileMaker Go 13 platform. The FileMaker Go 13 Video Training Course benefits from several "hands-on tools," and this is one of them. Of course, while this tool is handy, it is much more useful while watching the training videos. The FM Go 13 Video Training Course is an application that is perfect for anyone building mobile solutions with FileMaker Go 13. Containing over 7 hours of video content, this course will immerse you in this new, more powerful mobile FileMaker client. Richard Carlton walks the viewer through a wide range of topics. Ranging from basic topics like "UI Considerations" and "Bar Code Capture" to more complex topics such as "Base64 Encoding for Off Device Backups". Whether you are new to the FileMaker platform, or you are an established FileMaker developer, download the FM Go 13 Video Training course today and increase your knowledge of the product. After releasing several FileMaker templates, RC Consulting began to hear more and more from non-profit organizations. RCC soon saw a need to produce a simple database specifically tailored for people in the non-profit arena, and FM Donations was the result! Built using a customized copy of FM Starting Point, FM Donations comes complete with modules for managing Contacts, Companies, and Donations. Detailed reporting is included to give users the ability to print administrative reports as well as reports for individual donors. This template servers as a great tool for FileMaker users in a non-profit organization, but can also serve as a prime example for FileMaker power users and developers of how a template like FM Starting Point can be customized to fit a specific need. Music from FileMaker DevCon 2009 featuring Myles Debski on the piano. A sample file to display how you can create a simple audit log in FileMaker. A sample file that shows how, using Zippopotamus, you can easily lookup information based on a zip code. A sample file that helps you locate and eliminate unneeded CSS from your FileMaker database. A sample file that shows how you can send SMS messages directly from within FileMaker. A sample file that shows how you can make your slide control seem to have an endless amount of containers. 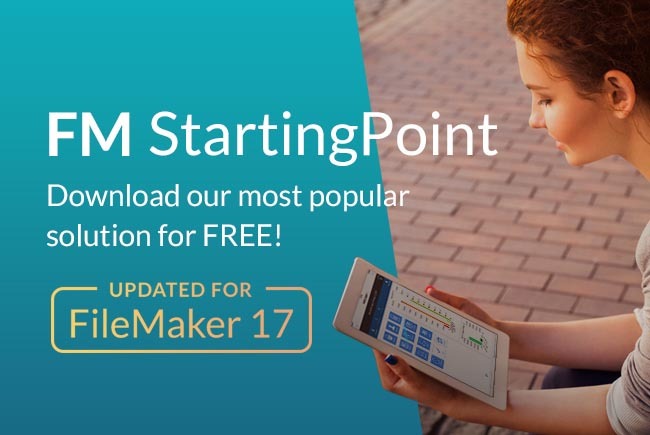 FM Starting Point is a completely FREE FileMaker template designed for use with FileMaker® Pro 17. Focused on small businesses, work groups, and non-profit organizations, the templates in this solution were built with the experience we have gained from working with these target groups for over 28 years. 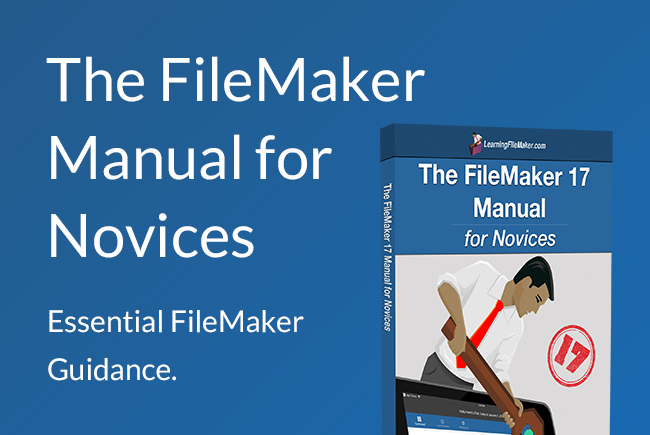 FileMaker users have been enjoying the benefits of FMSP for over 5 years. In this short time, we have had over 500,000 downloads of the solution. FMSP offers an integrated approach to an essential need in the business world — a complete CRM that is ready to be built upon to help create the perfect solution for your specific needs. Experienced FileMaker Pro users will value a FREE tool that makes building a new project substantially easier.